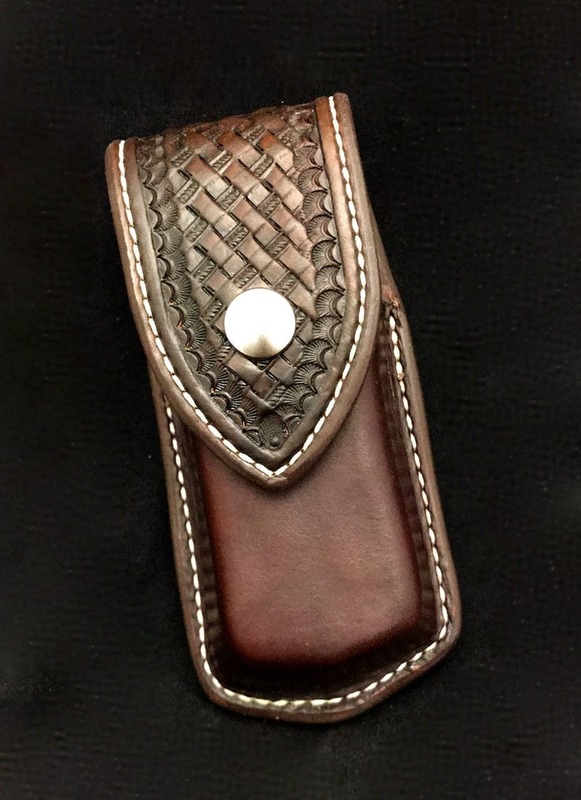 This product is a custom leather sheath/case to fit the leatherman OHT. It's doubled and stitched (lined with another layer of leather) and has a basketweave stamped pattern on the flap! These cases will hold up to years of use and will keep your tool close and handy! - Basket weave stamped flap! Great quality, fits my leather man perfectly. Added note, shop owner is very responsive to any questions and concerns that you may have as a customer. Amazing detail & craftsmanship... Excellent retention, too, and I love the color. One day out and about and I've already received compliments. My OHT and I thank you!